I'm a little shy initially until I get to know someone. I'm sincere and easy going by nature, and a good conversationalist. I would like to meet a guy who enjoys life, is kind-hearted and is genuinely looking for love. I like the outdoors, a walk on the beach, or in a park or woodlands. I love all animals, especially dogs. I enjoy a night out in the pub, or going to the cinema. I am also comfortable spending a night in with a dvd, and a coal fire and good company. I like to travel and I like weekend breaks. A guy with a good sense of humour, and who's looking for a genuine relationship..
Meet for a coffee, or a drink, and see how things go from there. None really, anyone if the company is good. CA0011 is a Female dating in Mayo, Ireland. 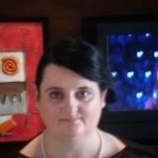 Check the description of this 48 years old profile, she is White/Caucasian and Catholic maybe this matches your profile description and you can both start dating in Ireland for free. The stars says she is a Aries maybe you should check your horoscope and match up your star sign.